Close only counts in horse-shoes and hand grenadesÃ¢â‚¬Â¦and water balloons! 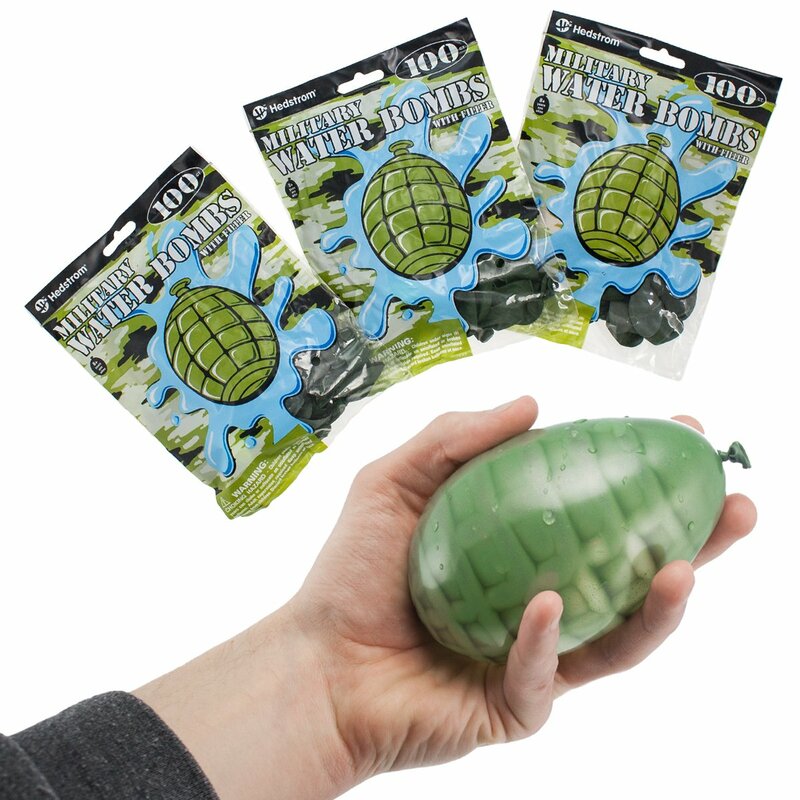 Andlike any good hand grenade, these Military Water Ã¢â‚¬Å“BombsÃ¢â‚¬ by Hedstrom fit inyour hand, are camouflaged green, and explode all over their unsuspectingtargets (as well as those in the vicinity). Plus, with 300 water balloons inyour arsenal, and 3 quick water fillers that attach to any faucet, you canplan and launch an all-out splash assault on an enemy neighborhood platoon!